With Venus and Adonis, Shakespeare launched his career as a poet. The poem is a minor epic, a genre that many poets in the 1590s chose for their first efforts. Characters in a minor epic usually come from the periphery of myth or legend; its interest is in eroticism, sophistication, and wit. 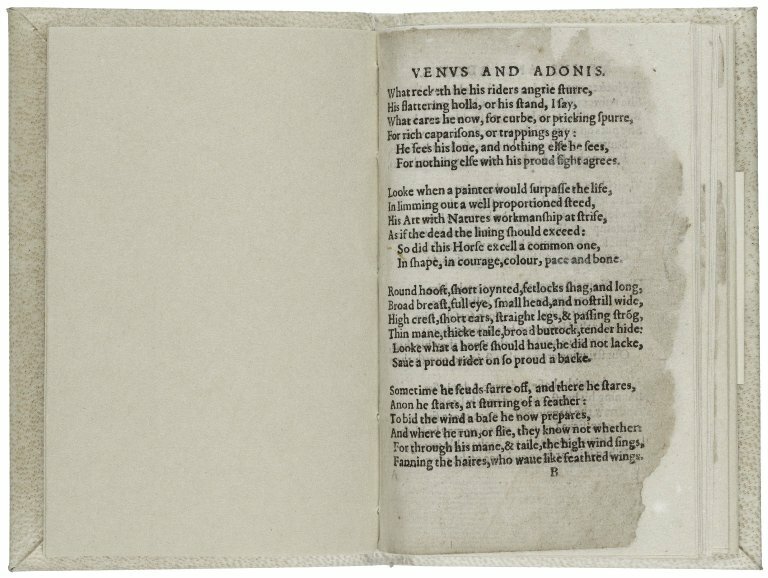 Within this genre, Venus and Adonis was so successful that it was Shakespeare's most popular published work throughout his lifetime. In Ovid’s Metamorphoses, the boy hunter Adonis is the willing lover of Venus, the goddess of love, and dies accidentally. Shakespeare has Adonis reject Venus—an ironic and comic development for early readers. Venus endlessly argues for making love, with Adonis uttering petulant protests. For modern readers who might forget that Venus is a goddess, it is easy to focus on Adonis as the uneasy object of desire by a matron. In its terms, however, the poem is a deliberately artificial retelling of a then-familiar myth, playing with the notion of what would happen if the goddess of love were refused. Although minor epics fell out of fashion long ago, Venus and Adonis commands appreciation for its dazzling verbal surface, as a piece of fine baroque art. It also lets us see the young Shakespeare exploring love in a way that later yielded his romantic comedies. 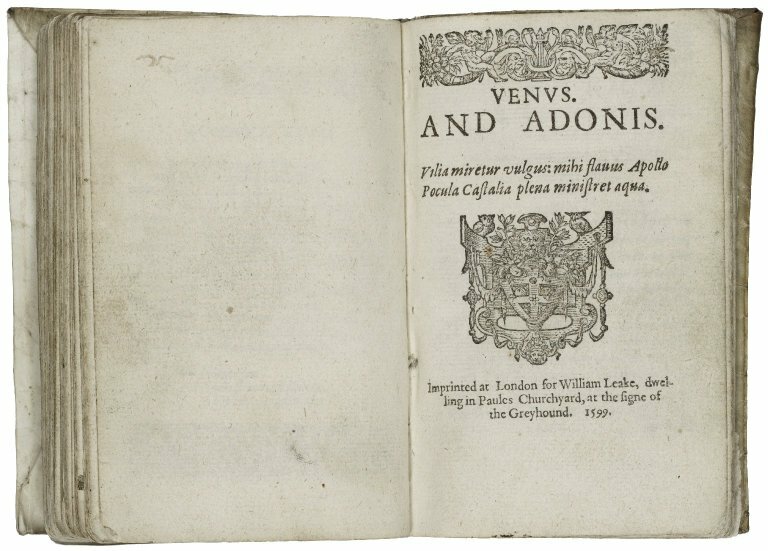 Venus and Adonis was first published in 1593, and subsequently frequently reprinted through the 17th century.